Need some style in your life? 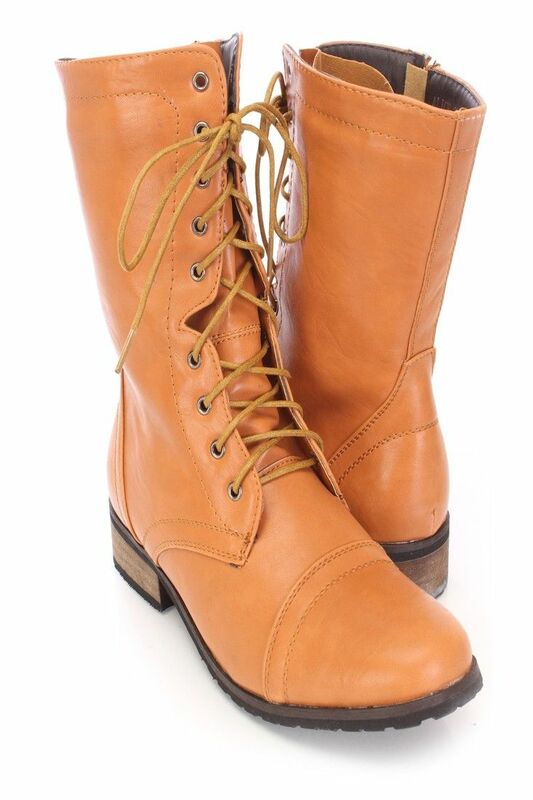 Well these stylish combat boots will add it to your ensemble. Just pair them with a loose fitted sweater and some skinnies and youre ready to go. This fashionable style starts with a faux leather upper, lace up design, side zipper closure, closed toe, stitched detailing, smooth lining, and finished with a cushioned footbed. Approximately 1 1/2 inch low heel, 8 1/2 inch shaft, and 13 inch circumference.